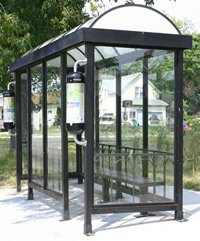 Fare tickets for use on the system may be purchased at the Blue Water Area Transit Office on Lapeer Avenue (in increments of five) and the Blue Water Transit Bus Center in downtown Port Huron (singles or increments of five). 10-day and monthly passes may also be purchased at both locations. The public transit system is operated by the Blue Water Area Transportation Commission, an independent public agency, with support from state, federal and local governments.